You can check the Plans & Billing of your current plan of UVdesk from your account. It will provide you an insight of your current plans, all plans, and other details. On the Dashboard, you will see "ACCOUNT" menu and under it, you will find "Plans & Billing". Click on the "Plans & Billing" Icon and then you will be redirected to a new page. In the "Overview", you will see your Active plan and its details. 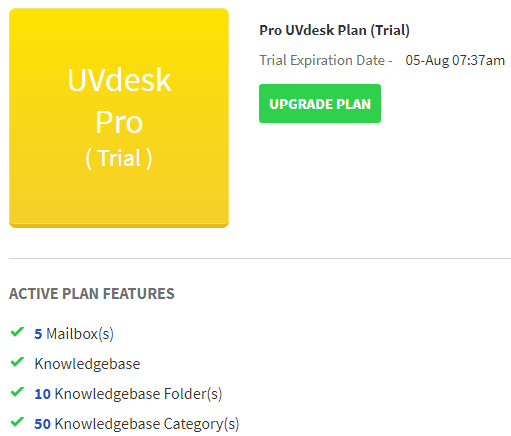 There is also "Upgrade" button which will redirect you to all the plans of UVdesk. 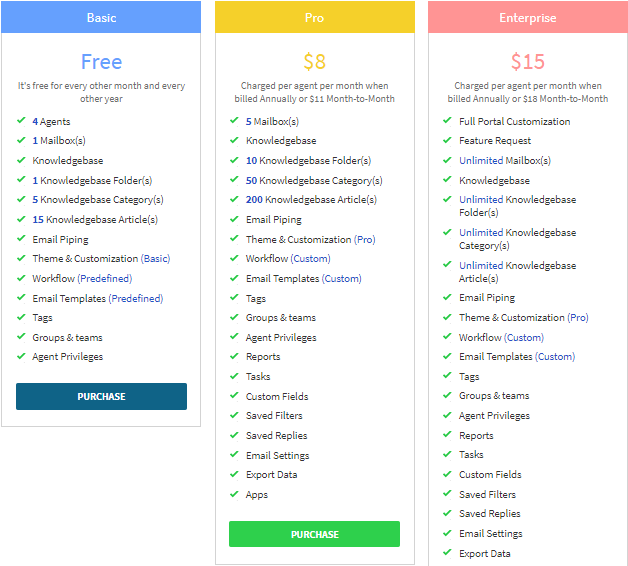 You can check them all and hit the "Purchase" button for the plan you prefer. In "Invoices", you can see Invoice Id, Plan, Agents, Purchased On, Subtotal, Status & Actions. In "Billing Address", you will see your complete billing address.